Great Central Peachtree City Location! Just a short walk to Lake Peachtree, Battery Way Park and the boat ramp. Award winning schools Huddleston, Booth. and McIntosh High School. 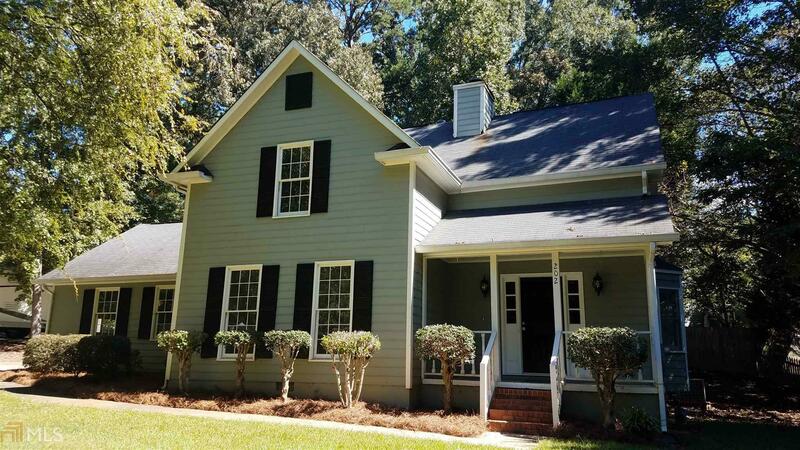 Welcoming covered front porch, Large eat-in kitchen with new cabinets and appliances, large seperate dining room, and family room with brick fireplace which opens onto the deck and a half bath. Three Bedrooms and two baths upstairs. Two car garage with new garage doors and so much more! Walk to Fredrick Brown Amphitheater, BMX Track, and Dog Park. Over 90 miles of cart paths! You will not want to miss this home. Directions: South On Hwy 74 From I-85 Turn Left On Kelly Drive. Kelly Drive Truns Into McIntosh Trail, Turn Left On Skiff Trace Into Fischers Bank, Turn Right Onto Harbor Loop And Left Onto Lanyard Loop. House Is On The Right.